Get ready for the world of wonders heading your way! Fresh quest lines, new zones to explore– But how do you prepare for the world of wonders heading your way? 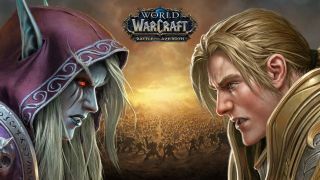 Battle for Azeroth is the seventh expansion of the epic saga that is World of Warcraft. After a long, hard-fought battle against the Legion on Argus, our heroes came home. But it was not a warm welcome they received. With a final blow, Sargeras ripped Azeroth asunder for what feels like the hundredth time and, with his sword buried deep into the grounds of Silithus, sparked a new faction war. Preparing for the battle ahead will be no small feat, but fear not! There are five simple steps to becoming as prepared as the next champion of the Horde or Alliance to adventure into Zandalar or Kul Tiras and become the leader your faction needs. The best way to prepare for the expansion is by getting your foot in the door! With the added benefit of a level 110 Character Boost just from buying Battle for Azeroth, you’ll be ready to fight with the rest of your faction from day one. Whether you’re a seasoned veteran or a Warcraft newbie, Blizzard has you set up to play the new expansion immediately. You can buy the game through your browser at Battle.net or in-game in the Shop on the bottom left of your screen! With a Character Boost at your disposal, it’s important to weigh your options. Luckily, Blizzard has you covered on that front as well! Their Class Trial feature allows you to create a level 100 character on the spot to test out talents, abilities and the full kits of every class under Azeroth’s sun. So go ahead, try a new Class or three and then, when you’re ready, create your new character and use that Boost! The name of the game? Azerite. The blood of Azeroth herself, Azerite powers great machinery and weapons, and gives the user both an increase to their fighting power and a feeling of elation. It’s dangerous in even small doses, so it’s no wonder the factions have waged a new war over who will control the Azerite and, in time, the world. When you first log into the game on your new level 110 character, you’ll receive a summons from your faction leader to aid in the War of the Thorns. Heed the call, charge into battle, and complete the quest chain to its fullest extent. The story has only just begun in the Battle for Azeroth, now it’s your turn to play a key role in the fight to come. The biggest kindness you can do yourself to prepare for the next expansion is to get yourself some gear. How you go about it is up to you. Raiding in Antorus, The Burning Throne will net you item level 195 gear and upwards. However, if you’re not available for hours of dedicated raid time, there are new World Quests waiting for you! Once you complete Part 1 of the War of the Thorns quest chain, four World Quests will open up for you in Darkshore. Completing them will reward item level 210 gear with the chance of Warforging and other upgrades. Now is also your chance to buy any Legendary item you’ve been waiting to get your hands on for 1000 Wakening Essences, so grab them while they’re available! The first thing you should always do heading into a new expansion is clean out your bags! Yes, that reagent from two expansions ago might be a bit outdated. Figure out what you need for Battle for Azeroth and get rid of the rest! Your Bank, Reagent tab and Void Storage are all included! Soon you will become prey to the terrain of Kul Tiras and Zandalar. There is only one item that will help you out of your bind: a Goblin Glider! Goblin Gliders are crafted using Engineering, but you’ll likely find hundreds of them on your Auction House. They’ll enable you to glide safely down from high-up terrain and precarious places with the click of a button. Skystep Potions created from Alchemy are also a great item to stock up on heading into Battle for Azeroth. With 150% movement speed increase, you’ll be zooming across the map in no time! While these will likely be more expensive than Goblin Gliders, a little extra pep in your step is always worth its weight in gold. Whether you’re fighting for the Alliance or waging war with the Horde, you’ll have everything you need to explore the newly discovered continents ahead. Happy questing!